It is never too early to start reading to children. Our Hanna library is always open to our young, budding readers. This year we want to share some of our personal staff favorites that we feel truly inspire and expand the imagination of our children. Additionally, we encourage YOU, our parents, to share what stories you love reading at home so that we can build a virtual Hanna library that we all can use to source great books. New, obscure, classic...we love the discovery. To begin sharing, comment on any of our blog posts, facebook posts, and instagram posts and be sure to tag #HannaBookShelf to share in this exploration of literacy! For our first roundup of books, we have three books we think will be fun reads to kick of back to school. Moonshot, the flight of Apollo 11, is a fascinating read for young minds interested in space. It tells the tale of the first flight to the moon and is wonderfully scripted to provide a history lesson that keeps the interest of children. The First Forest is a soft fable that introduces the lesson on the consequences of selfishness and the joy of caring about others. The illustrations and lyrical cadence of the story are so artfully done that it easily becomes a favorite amongst both adults and kids. 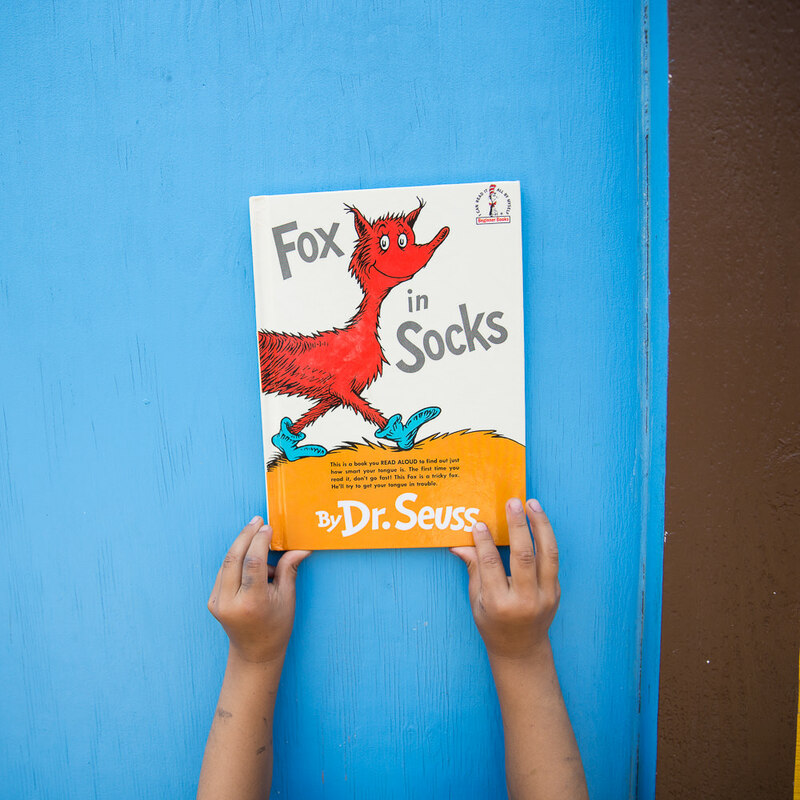 Fox in Socks by Dr Seuss is a classic that continues to stand the test of time. How smart is your tongue? Can you read it without getting your tongue in trouble? Kids enjoy listening and trying to catch those mistakes. This is a sure read to bring a smile to the family of readers during story time. Below are a few reasons why reading at a young age is so valuable. Research shows that the earlier you start the better! "What happens during the first months and years of life matters, a lot, not because this period of development provides an indelible blueprint for adult well-being, but because it sets either a sturdy or fragile stage for what follows." J.S. Shonkoff & D. Phillips, Eds., From Neurons to Neighborhoods: The Science of Early Childhood Development (2000), Washington D.C.; National Research Council & The Institute of Medicine, National Academy Press.